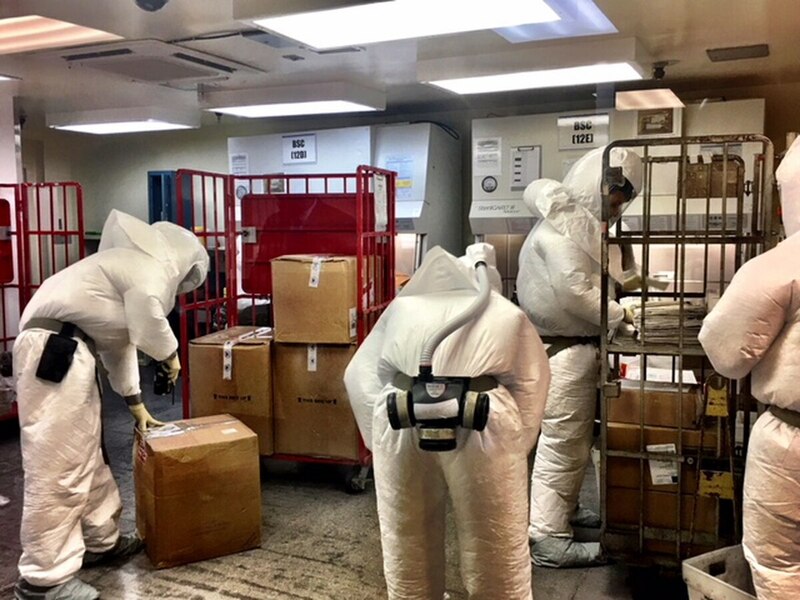 Mailed packages suspected to contain the poison ricin that were sent to Defense Secretary Jim Mattis and Chief of Naval Operations Adm. John Richardson may be linked to a former Navy sailor, Fox News reported Wednesday, citing unnamed U.S. officials. The report cited U.S. officials saying a return address was the potential link to the former sailor. Two packages suspected to contain ricin were caught at the Pentagon’s mail processing facility Monday before they reached their intended recipients, and a third letter, addressed to President Donald Trump, was intercepted by the Secret Service. The content in the packages that triggered the alert “appears to be castor seeds, from [which] ricin is derived,” said Pentagon press secretary Dana White. A fourth package, which sent staffers to the hospital, was mailed to Sen. Ted Cruz, R-Texas, office, however that incident, which was identified to not be a hazardous substance, is not believed to be linked to the other two incidents. An FBI official said the bureau was working in coordination with the Secret Service on the White House and Pentagon packages, however. At this time, FBI investigators have obtained lab results that indicate there was no hazardous substance at 3200 Southwest Freeway. The investigation into today's incident is ongoing. A DoD official said the Pentagon was aware of the reports that the sender was potentially a former service member, but directed all inquiries to the Federal Bureau of Investigation, which has the lead on the case. Similarly, a spokesman for the Naval Criminal Investigative Service directed all inquiries to the FBI. This story is breaking and will be updated as new information becomes available.